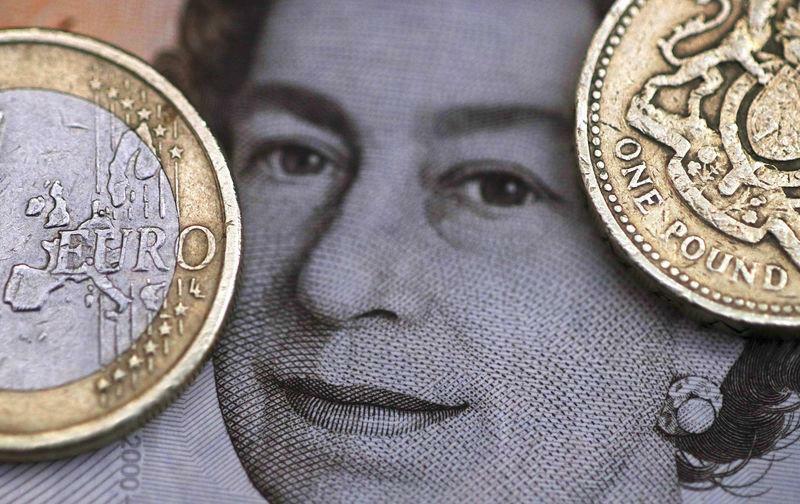 LONDON (Reuters) - British companies are being forced to pay more to borrow on international bond markets than their European peers as investors demand a hefty premium to compensate for a future hit to business and the UK economy from Brexit. Companies as varied as telecoms giants BT and Vodafone, security firm G4S and the Royal Mail are facing what can be described as a "Brexit premium", bankers and bond investors told Reuters. With less than four months to go before the UK leaves the EU, there is still a risk of it crashing out without a trade deal. Prime Minister Theresa May is widely expected to lose a crunch parliamentary vote next Tuesday on her withdrawal agreement. Still, some kind of agreement is considered the most likely outcome, and the odds are also shortening on Britain eventually staying in the EU. But the gap between British companies' bond yields - the cost to borrow from investors - and that of European rivals has surged to the widest in years. "We have seen recent spread widening in UK names due to Brexit uncertainty, with UK names on average underperforming compared to European names, excluding Italy," said Christophe Auvity, head of global corporate credit at BNP Paribas Asset Management. He said yields on British banks' bonds have widened by around 70 basis points on average since early-October compared with 25 bps for their European counterparts. Telecom sector bond yields are up 35 bps, versus a 15 bps rise for continental firms. Vodafone last month had to offer generous 30-40 basis-point yield premia over existing debt to lure investors to its 2.5 billion-euro new issue. Similarly, BT recorded laclkustre demand when it sold 750 million pounds in long-dated bonds, International Financing Review reported. The moves show that investors across asset classes are increasingly worried about the consequences of a loosening in ties between London and its biggest trading partner -- until now it was largely sterling that bore the brunt. The fears have also weighed on domestic-focused share prices, which have sharply underperformed export-focused peers. Exiting without a deal in March will leave Britain's economy 5.5 percent smaller by 2030 than under EU membership, a recent study by think-tank NIESR showed. The Bank of England is more pessimistic, predicting that in a worst-case scenario Brexit could inflict a bigger hit to the economy than the 2008-2009 financial crisis. There could be idiosyncratic reasons why some British companies need to pay more for money than their European rivals. But the trend in the euro-denominated bond market seems clear. "What we are seeing is that investors are applying a Brexit premium on British companies that are particularly exposed to the British economy," said a banker who arranges debt sales for European companies. "Essentially they are worrying about the impact of a no-deal Brexit on the British economy and on British corporate assets." The jitters are most evident in the cyclical and banking sectors, that are closely tied to growth. And it is in the secondary market, where already-issued bonds are bought and sold, that the Brexit premium is particularly striking. The gap between the yield on BT's euro-denominated bonds maturing in March 2023 and Deutsche Telekom's April 2023 bonds last week hit its highest in more than two years at 50.9 basis points. BT's bond now yields around 1 percent, having risen 10 bps in the past month, while its German peer is at 0.59 percent, having traded flat in this period. Similarly, the gap between Royal Mail's euro-denominated debt and that of its German and French peers - has ballooned to a record high in the past month, also driven by a hefty profits drop at the British firm. Its 2024 bond now yields three times more than similar-tenor Deutsche Post and La Poste bonds. And a G4S bond maturing in 2023 is yielding almost 40 bps more than a 2024 issue from Swedish counterpart Securitas. Finally, the bonds of British banks Barclays and HSBC trade at a substantial yield premium over many European lenders, including the troubled Deutsche Bank. Banks could see asset quality deteriorate, lower profits and hurdles in selling products to European clients under most Brexit scenarios. "We would apply a premium. There's a substantial risk to British companies, especially on the banking side," said Kaspar Hense, a portfolio manager with BlueBay Asset Management, which manages $60 billion in assets. What if Britain manages to agree a last-minute exit deal? Bankers who help companies raise funding said British businesses would still have to pay more than European peers to access markets because any Brexit scenario would cause economic damage. If May's Brexit deal is approved, it will still leave Britain's economy 3.9 percent smaller by 2030 than if it were to Remain, the NIESR study calculated. Markets may also be positioning for a hit to corporate credit ratings, with Moody's recently highlighting risks of higher trade costs and disruptions to logistics and supply chains. Firms in the automotive, aerospace, airline and chemical industries would be the most severely damaged, it added. "Even in the case of a soft Brexit, it is not clear under what terms British companies would be shifting goods into Europe," Hense of BlueBay said.